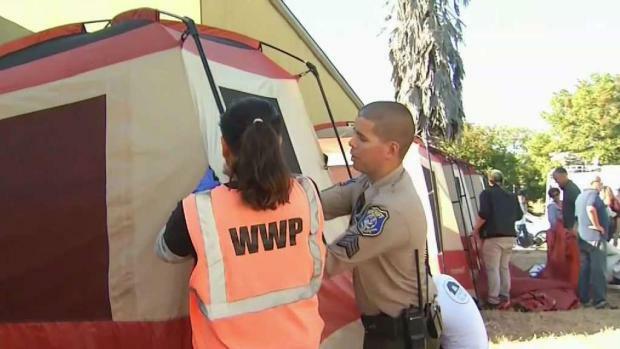 Volunteers this morning began setting up the sanctioned Hope Village homeless encampment in its new home in San Jose for at least the next six months. A fence now separates the sanctioned and unsanctioned tents, and Supervisor Dave Cortese said he hopes the lot doesn't become a "tale of two encampments." "The idea is to be humane, helpful and constructive in trying to deal with [the unsanctioned camp]," Cortese said. "[Hope Village] is a very compassionate group. I can't imagine them just turning a blind eye to people sitting right next to them." Hope Village founder Peter Miron-Conk said he hasn't encountered any problems with current residents of the unsanctioned camp, but worries the fenced-off portion of the lot allows too much extra room for additional tents. 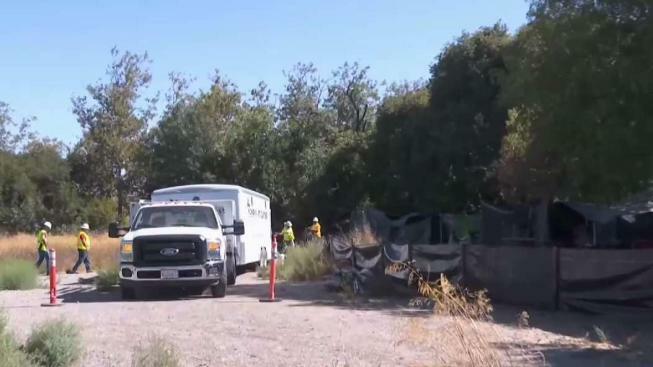 Hope Village, a privately funded homeless tent encampment near Mineta San Jose International Airport, has been given until 12 p.m. Monday to vacate state-owned land in San Jose. Service Employees International Union has reportedly agreed to allow the village to temporarily move to a grassy area next to some of its offices nearby. Bob Redell reports. 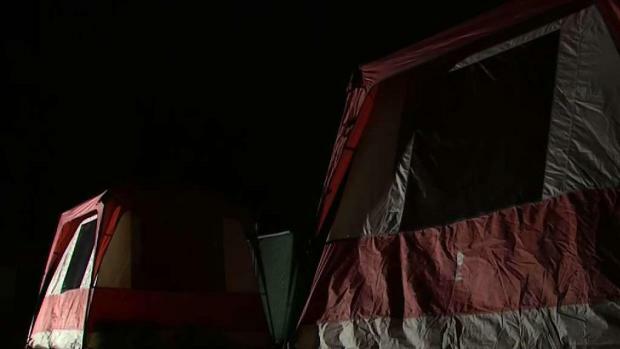 San Jose officials have not indicated any intention to sweep the tents. Cortese added that the county is working with Hope Village to determine if the encampment will need law enforcement. This could entail Santa Clara County sheriff's deputy patrols or visiting bailiffs who work at the nearby courthouse. "I don't want [the residents] complaining," he said. "This is supposed to be somewhat of a self-governed encampment."